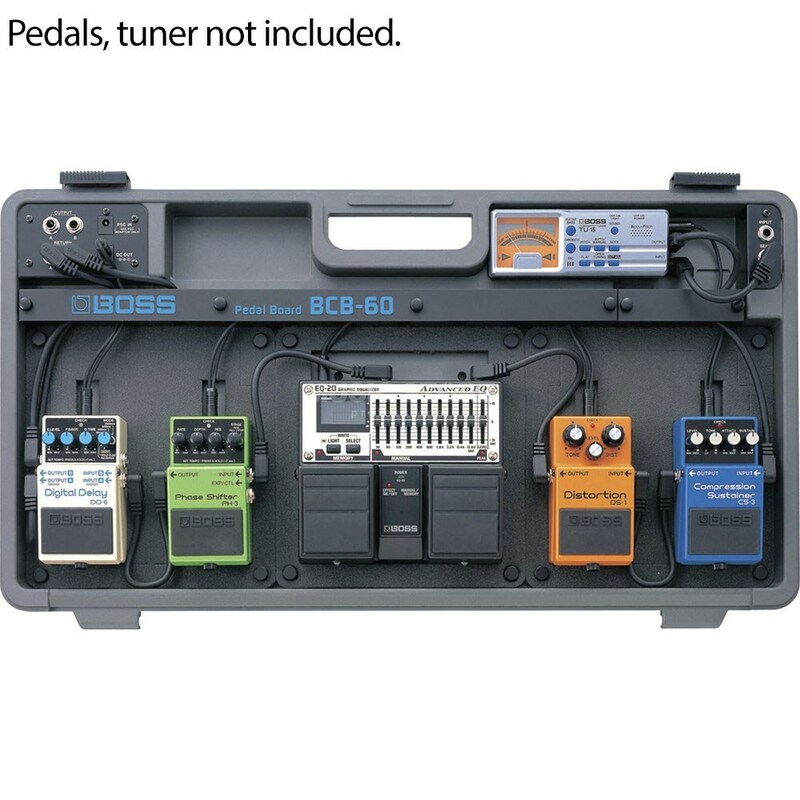 Organise and transport all your compact pedals and effects with this BOSS BCB-60 six-slot pedal board. You can actually power up to seven devices using the convenient AC adaptor supplied with this pedal board. The adaptor functions like a mini electrical generator, providing as much as 1,000mA of power, which is the equivalent of five PSA-series adaptors. All needed cables are also included. This pedal board also comes with three pre-cut foam inserts designed to fit your favorite BOSS pedals. A spare foam insert lets you cut it to fit effects from other manufacturers, giving you plenty of flexibility to arrange pedals, tuners and a V-Wah. The exterior is constructed of molded resin that's tough enough to stand up to heavy impacts, protecting your gear during transport. 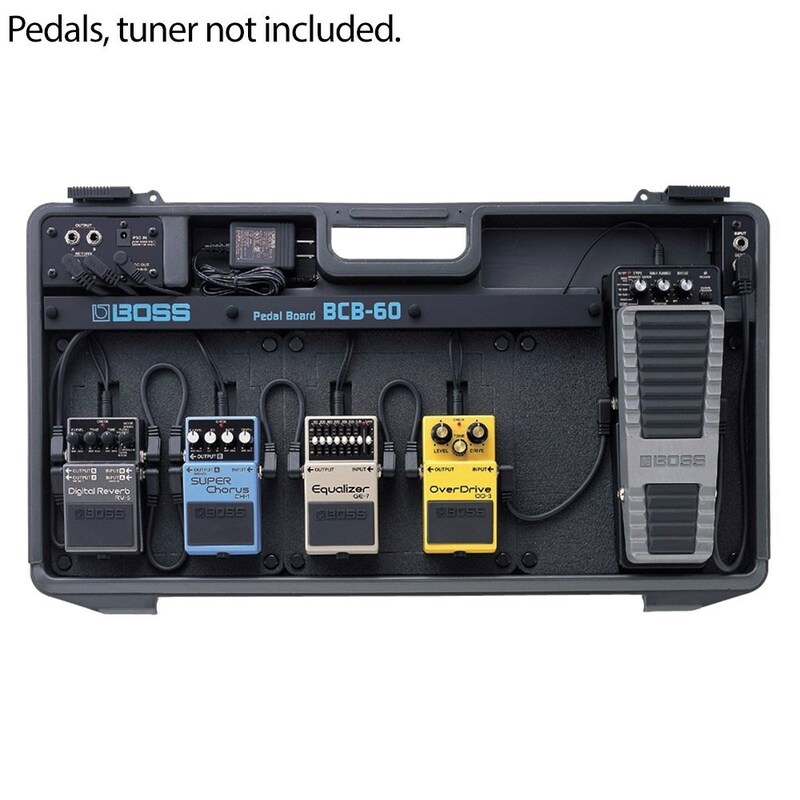 Show up to your gig with all your compact effects and pedals already in place and ready for use when you pack them into this beautifully designed pedal board.